When I was about 4 years old, I was given a toy that fascinated me. There were 3 circular clear plastic sheets stapled together in the center. Each had 1 circle of color: red, blue and yellow. 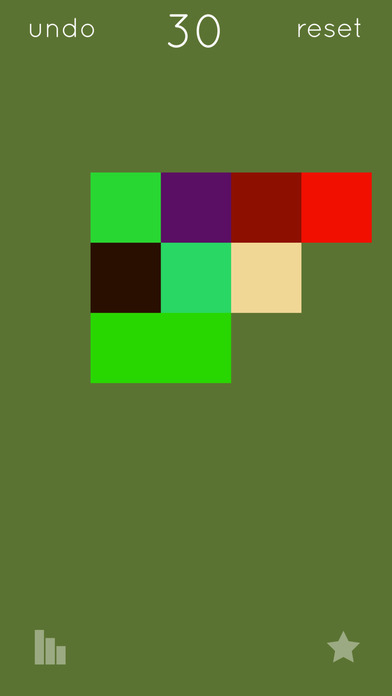 From that, I learned how to combine the colors to make green, purple and orange. Putting them altogether was some kind of brown. 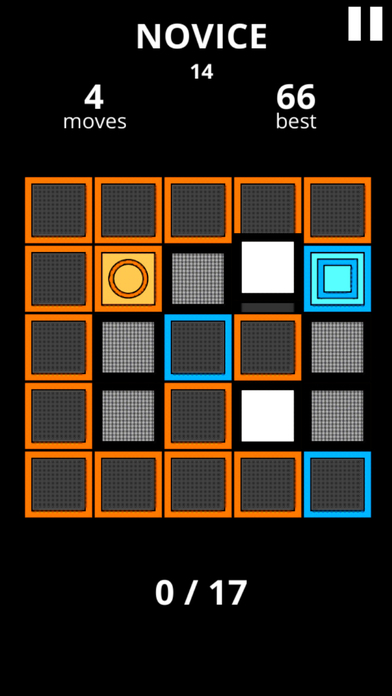 Color Combine Game, from Sam Hogan, is a puzzle where the objective is to combine adjacent tiles into 1 big pile whose final color matches the background. 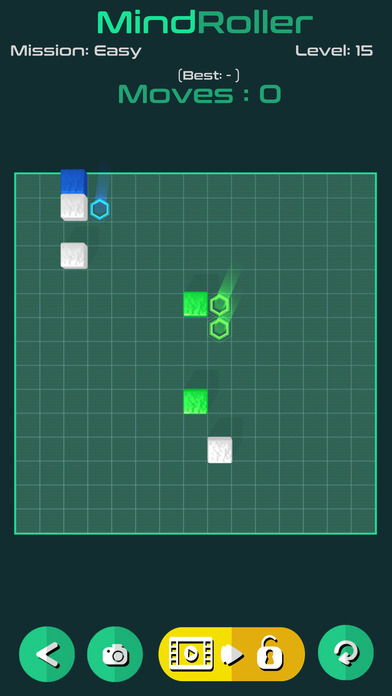 The first few levels are trivially easy. But then things get pretty tough. Getting the exact shade of pink or teal or cyan can be extremely tough. My instinct is to just tap out all the permutations until I stumble on the right one. At the moment, I'm stuck on level 19. According to the Leaderboard, there are not many other players. I contacted Sam about the number of levels and he told me: it's infinite. Blork - The Game came out last year. I played it for a while, then forgot all about it. The object is to roll Your Man, the cube, and then paint the colored squares the correct color. Of course Your Man must first pick up the orange paint by landing on the orange square with the circle in the middle. Of the 150 levels, I got stuck on level 25. 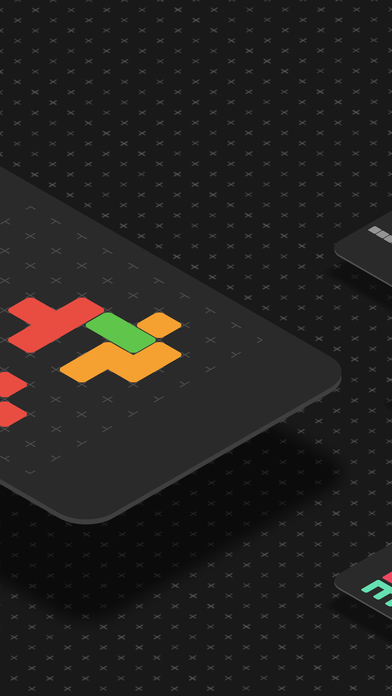 QVoid has a similar feel. 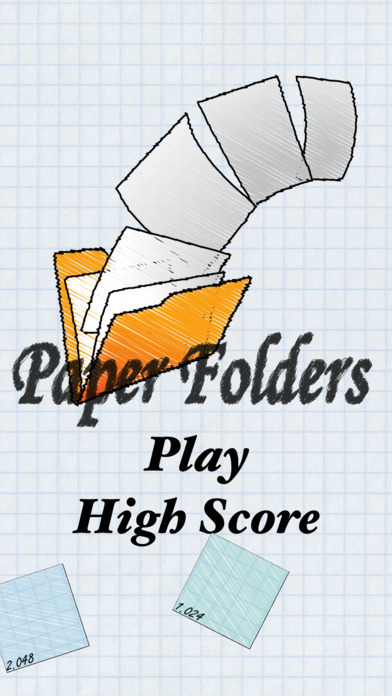 Paper Folders comes from Pavel Smetanin. 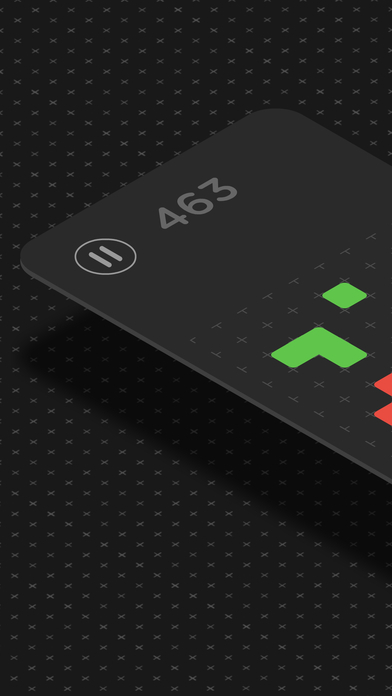 It's a point scoring puzzle app game. 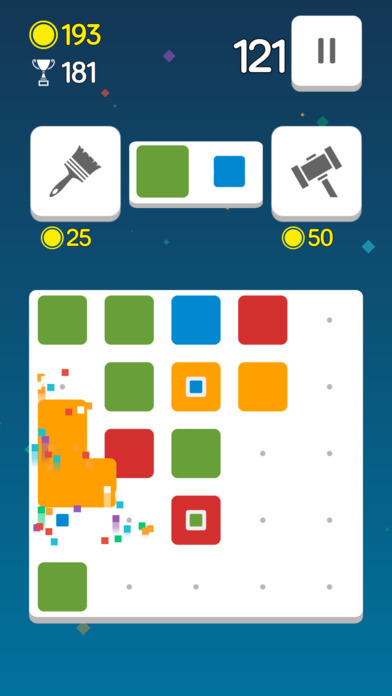 There's definitely a 'Tower of Hanoi' feel to this game with 3 towers. 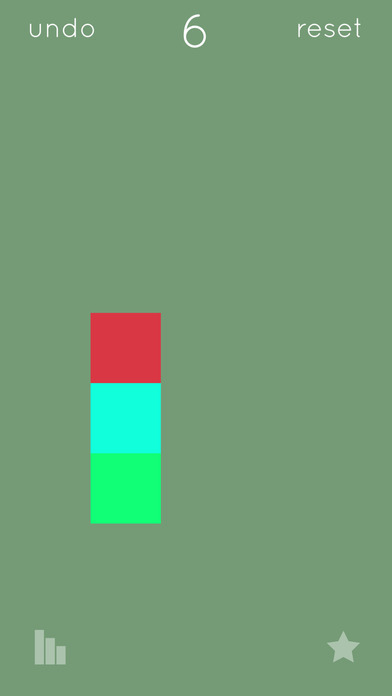 Unfortunately, the rules of Tower of Hanoi do not apply. 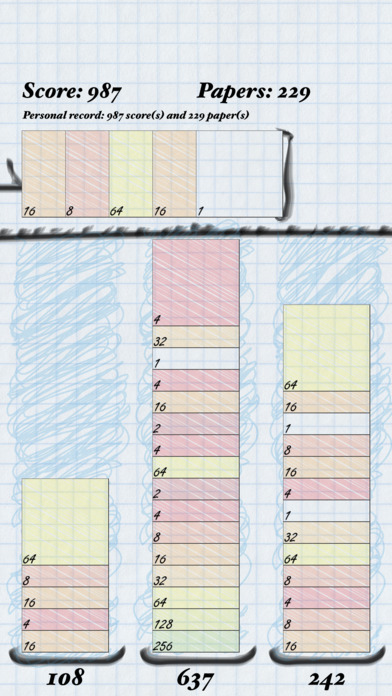 It's possible to place larger numbers on top of smaller numbers. Even worse: it's possible to do as much shifting around as you like. I got bored after about 45 minutes. My score was somewhere over 4,000,000. Later, when I went to continue the game, it was gone. I have to believe that the author meant to enforce some rules. Right now, there are basically none. This game is pretty good. 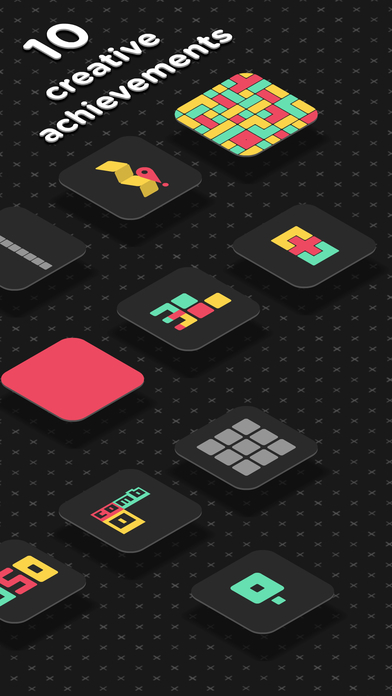 The object is to slide the colored blocks in a 3D space so they match up with the stars. Some blocks will pass through the stars; others need a block so they land firmly on the star. There are 80 levels and at the moment, I'm stuck on level 19. 1. There's no leaderboard. But there is a 'world record' for each level for the minimum number of moves on each level. The record for 17 is 9 moves; I needed 49. 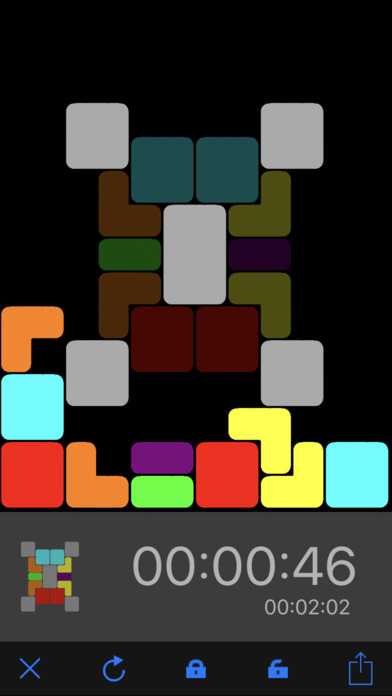 Level 18: world record is 29; I needed 40. 2. 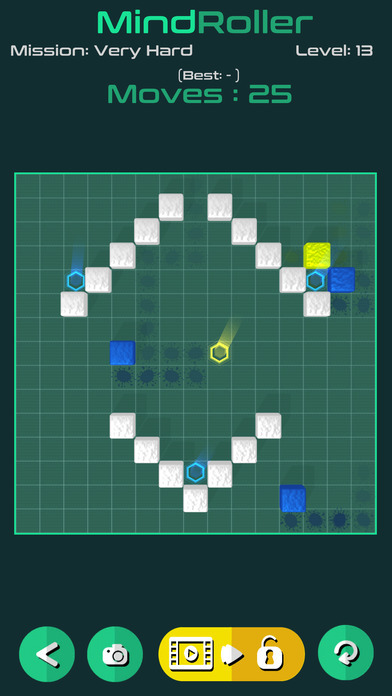 The world record for level 19 is 45. 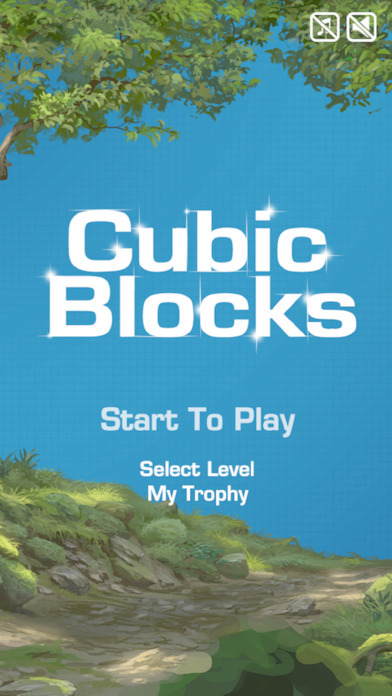 Cubic Blocks is hard! Definitely give it a chance. 5+ (fiveplus) come from kubra sezer. It's a point scoring game. 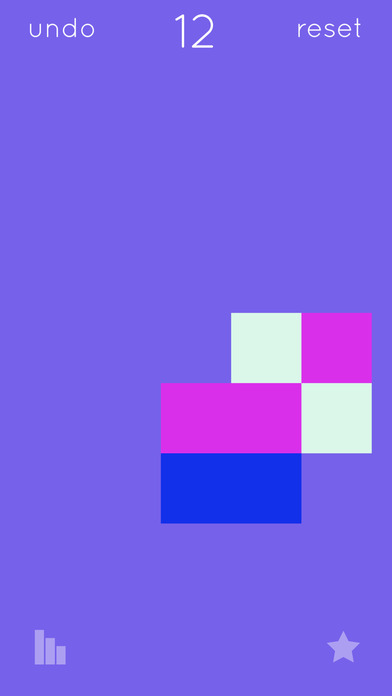 The object is to place tiles onto the grid to get groups of 5 or more of the same color. I want to like 5+ (fiveplus), but ultimately cannot. My first game ended with a score of 980; I wasn't playing carefully. My second game is at 48,000, and counting. This game just won't end, even though I want it to. Can I catch the fellow with 69,000? Do I care? He's still adding to his score. 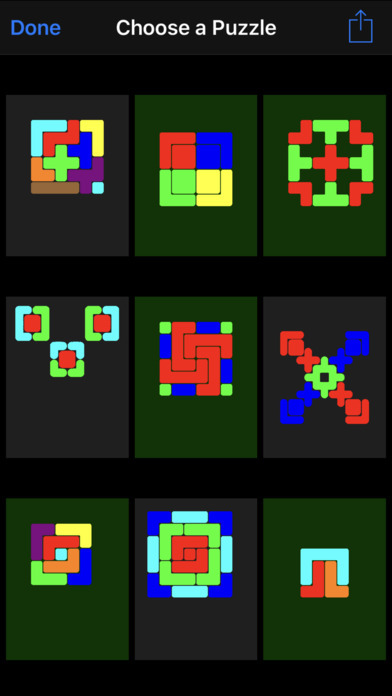 I've spent way too much time on this and have neglected more serious, better puzzles. To make this game better, the grid must be shrunk. Or add a 4th color. Or not allow pieces have less than 3 squares. At the moment, there are over 24,000 players and I'm #9 on the leaderboard. 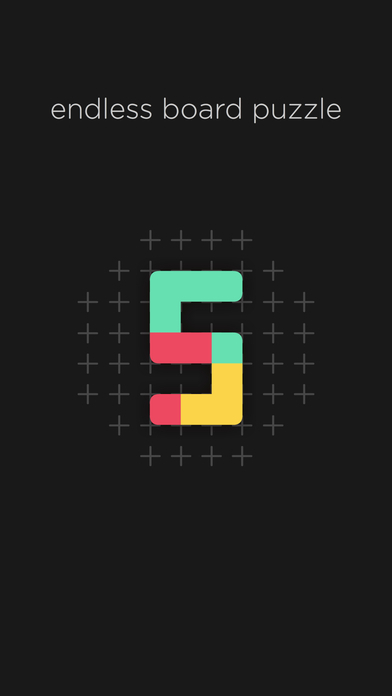 5+ (fiveplus) is popular because of 2 things: good graphics and easiness. 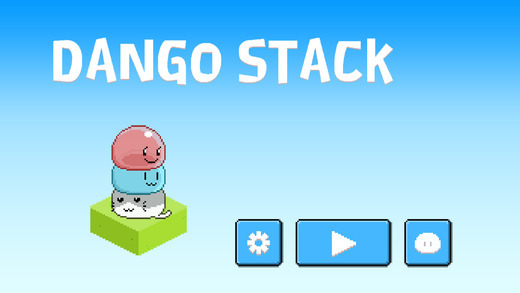 DangoStack comes from Daoxiang Lin. The object is to get Your Man, the bright pulsing bubble, to the target. Your Man can jump onto other bubbles and then travel together. 1. Blue and Red circles open and close bridges. 2. 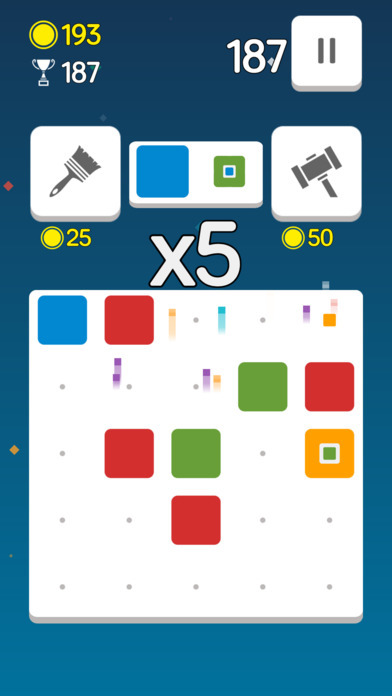 The Number Tile: if it says 5, then you must land on it with 5 bubbles to open a bridge. 3. The Ice Field - there are no individual steps, just gliding to the end. I'm not crazy about the graphics. 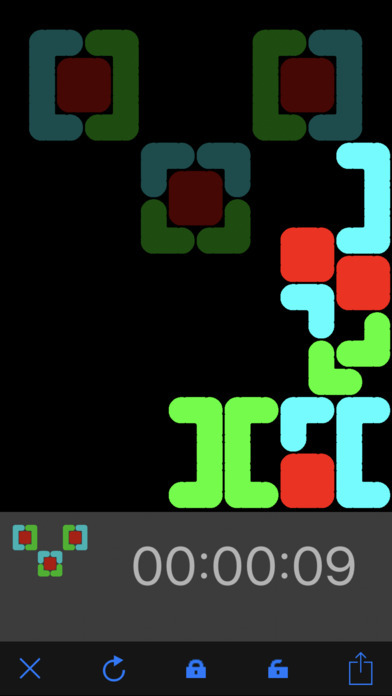 Nevertheless, this puzzle game is pretty good. Not impossibly hard, but hard enough. Definitely worth your time. At the moment, I'm stuck on level 55. There are 60 levels. 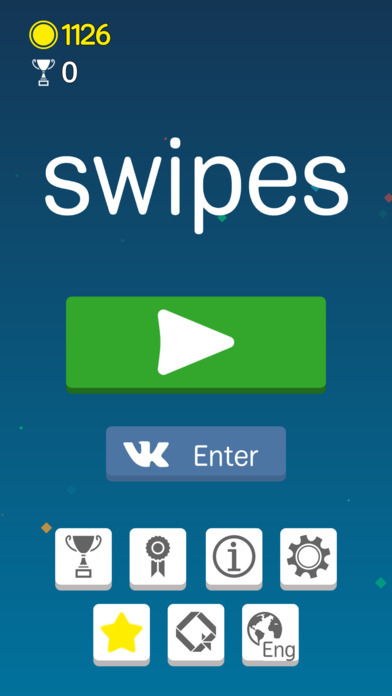 The game is free and there are no ads. 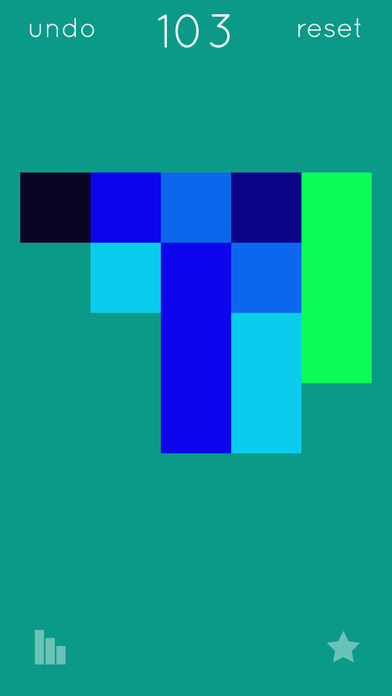 Rob Main contacted me 2 months ago about his puzzle app game Tetraslide. I should have reviewed this last month! It's a little like Blockhouse (no longer available). But much harder. The object is to slide all the men - until they hit a wall - to eventually land exactly on their target spaces. Tetraslide is actually extremely hard. 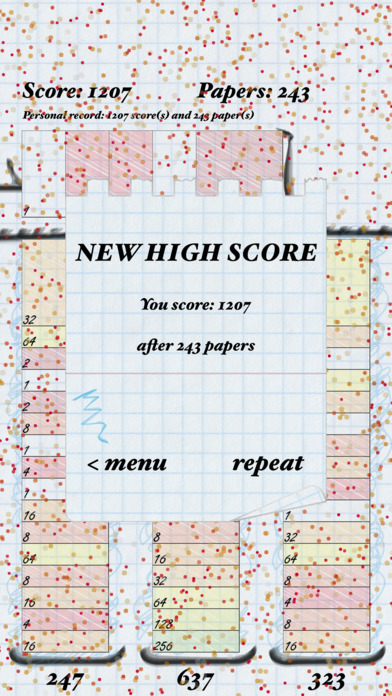 I have not solved many of the 135 levels. Just a small fraction. Trust me: $.99 is going to give you many hours of entertainment and a good deal of frustration. 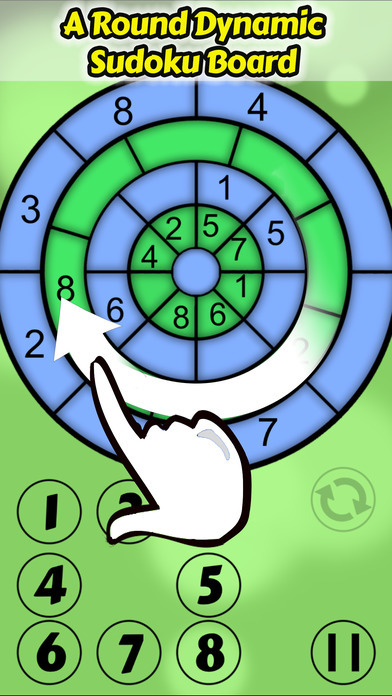 The smart folks at Bathroom Break Games LLC have produced their first game called Sudoku Spin. 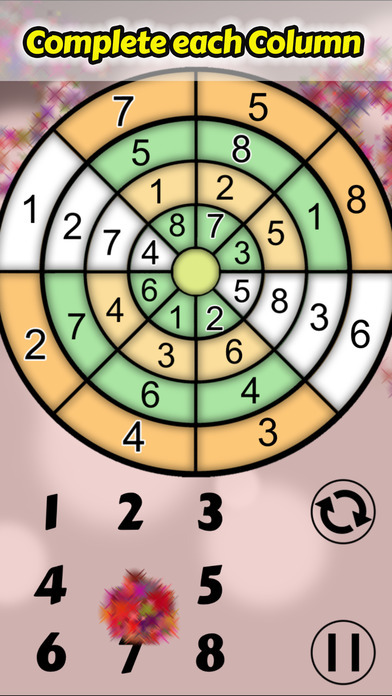 The object is to get each ring and each sector (see the third image) to get the numbers 1-8. Critical: each ring can spin. By my calculations, there are 64 permutations of arranging just the rings. Fortunately, if there is a conflict, it's highlighted in red. 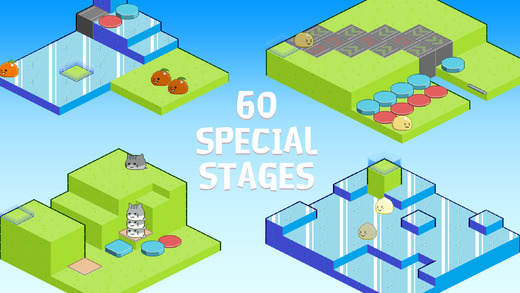 I've tackled about 20 of the easy levels. 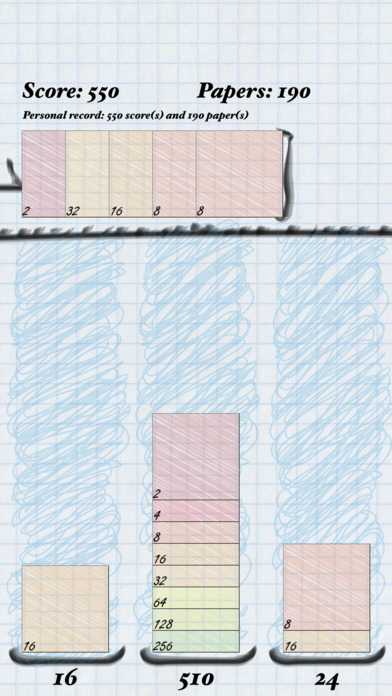 Numerous times: I've rotated the rings, then started filling in the grid, only to discover that my rings were wrong. Back to square one. Still, I wonder if there are multiple solutions in terms of ring rotation. In a regular sudoku grid, every single square must be one and only a distinct number. That's not the case with Sudoku Spin. 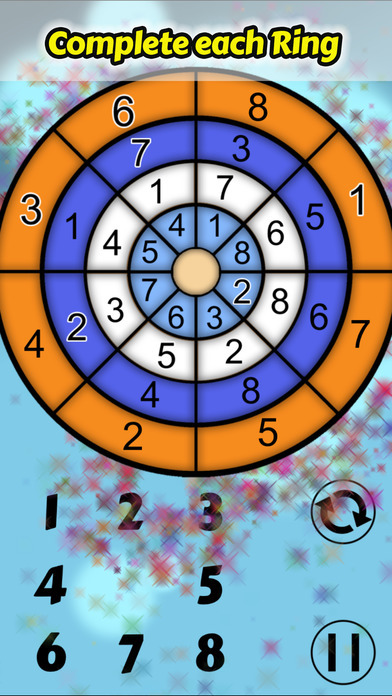 If a sector is missing only a 3 and a 7, and they both land on the same ring, then the order is not important. Tony Fisher I have read what they wrote and the distinction is totally contrived. Mine can be stationary and mind is hand solvable. They have made the 2nd largest working Rubik's Cube in the world yet that would not have made headlines. I have had multiple comments on my videos about me losing the record and they have succeeded in their attempts to mislead. Disgraceful. Neil Hutchison Take it to Guinness, they would have to confirm the claim, and that would surely be disputed. Michael Gottlieb The only difference between a "stationary, human manipulable" cube and yours is a stand that holds it in the air for you. Not much of a distinction! Tony Fisher Neil Hutchison It's not an issue for Guinness or which is the larger since there is no despite about that. It's about people believing something false. In a week or two if you search for "what is the largest Rubik's Cube" it will be theirs. That's the way search engines work. Robin Verstraten a better title to give some credit: "the worlds largest fully functioning rubik's cube that isn't made by tony fisher"
Tony Fisher I was trying to see how big there's it. It looks about the same as yours and 1m seems a logical size. That would make it equal 2nd (or 3rd?). Ignoring the misleading claims I have to admit it looks pretty good. MindRoller comes from Christian Nadeau. 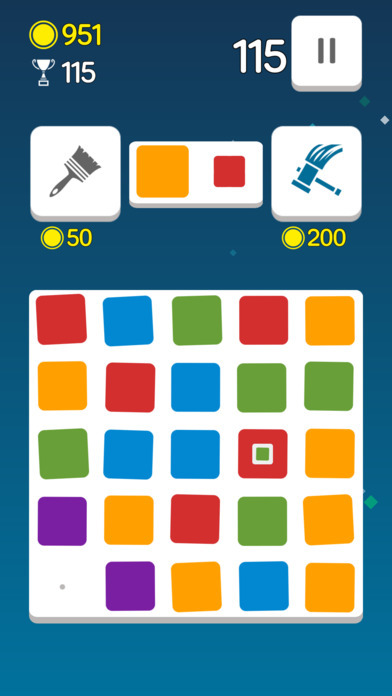 It's one of the games where 'all the pieces move together' and the objective of course is to get all the squares to their targets. There are 96 levels and I've solved about 55 of them. MindRoller is certainly not a new concept. 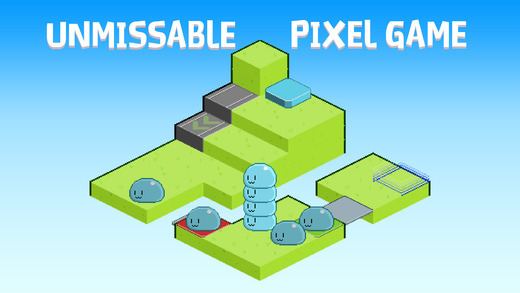 But what I like about this game is that the levels are very well designed and the grid is so large. 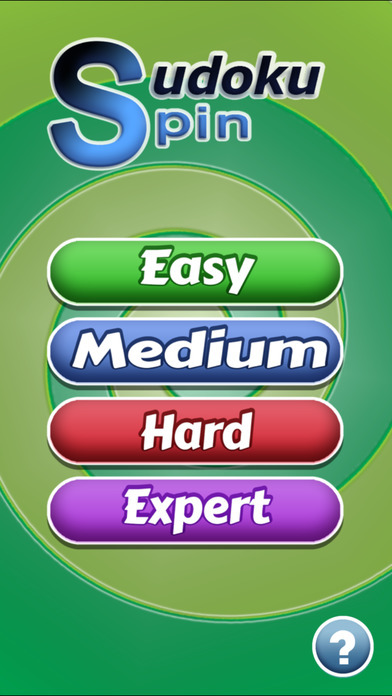 What I don't like is that you need to get 3 stars for every level in order to advance. Frozen Ice Cubes What's different: there's a point of 'no return'.